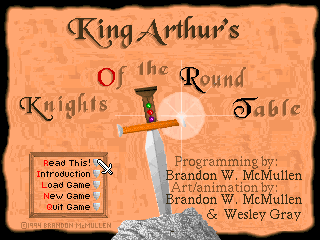 You can play King Arthur's KORT on this website so you don't need to download and install the game on your computer. We recommend to use Google Chrome when playing DOS games online. 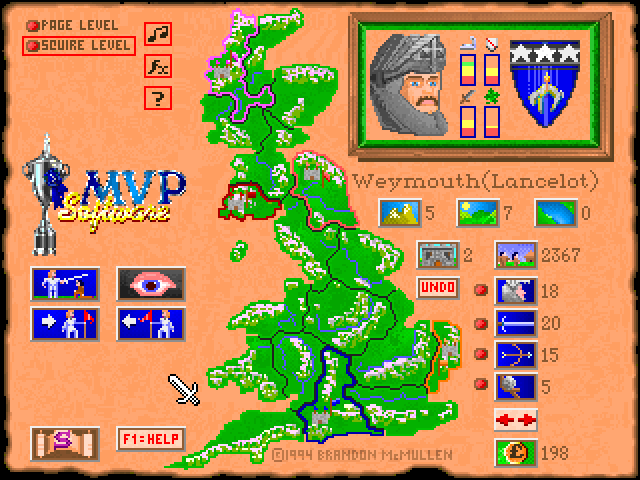 This is a liberated game: it was originally sold as shareware, but now the full-featured registered version can be downloaded from MVP Software's website (please see the links section below). 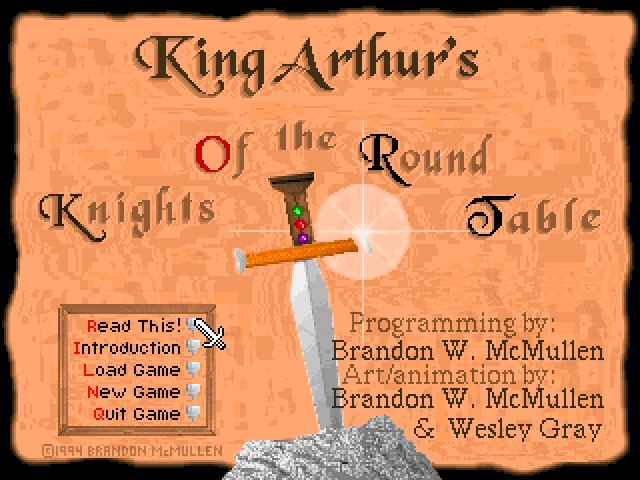 King Arthur's K.O.R.T. by MVP Software. 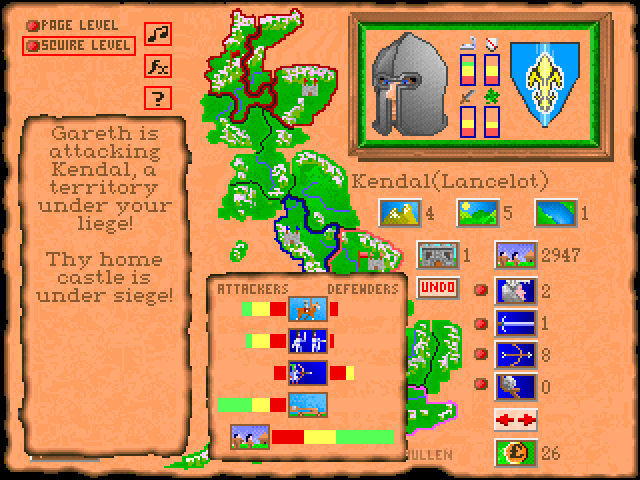 Great new Medieval war game in which you play Sir Lancelot and must unite Great Britain by conquering opposing knights. 256-color VGA graphics, terrific theme music, digitized sound effects and voices! Who says valor and chivalry are dead? Prepare for battle and the return of King Arthur! 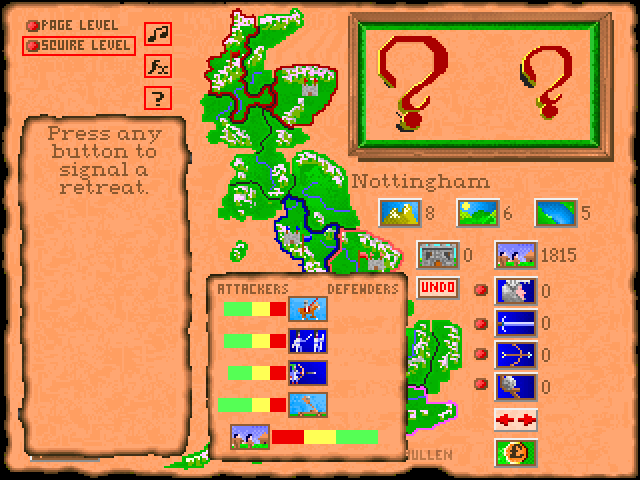 This game puts you in the role of a knight that must conquer Great Britain. 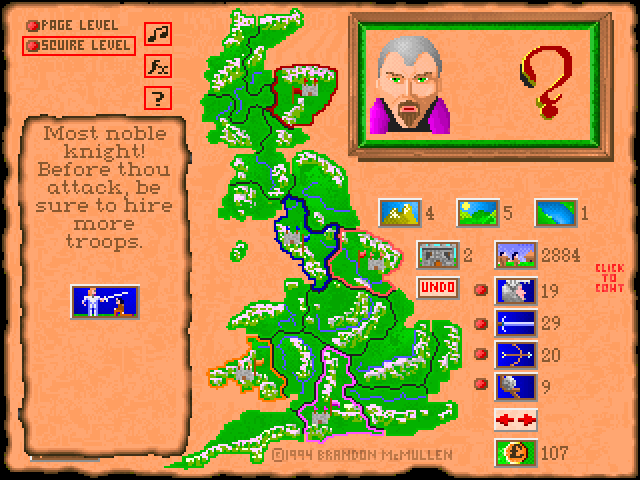 As a knight of the round table you must build up your campaign army and conquer Britain's territories one by one. However, there are other knights of the round table that are in pursuit of that same goal. 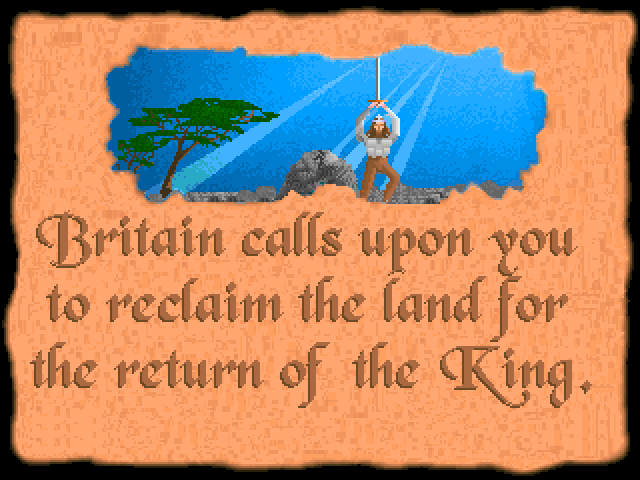 King Arthur's Champion will be the knight that successfully defeats all the other knights, in the conquest of Britain.